There are like, two places left in the United States where you have a reasonable expectation to not encounter gunfire (petting zoo, kindergarten graduation ceremony), and church is no longer one of them. The Altoona Mirror reports that the Cathedral of the Blessed Sacrament's Easter mass was more wild than expected this year after "a legally carried handgun discharged in the pocket of an attendee," grazing his hand. 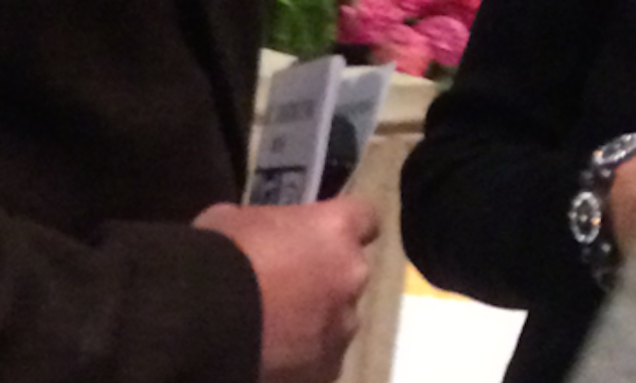 It appears "a critical piece of the handgun apparently caught on the man's pants as he stood up," whereupon this unnamed man passed the gun to a friend, who attempted to hide it in his church program (as seen above). Trying to disguise a gun that's just gone off inside a church program is maybe the only thing more brazen than actually shooting the gun inside church. Action 4 News in Pittsburgh adds that "It's unclear why he brought a gun into church."